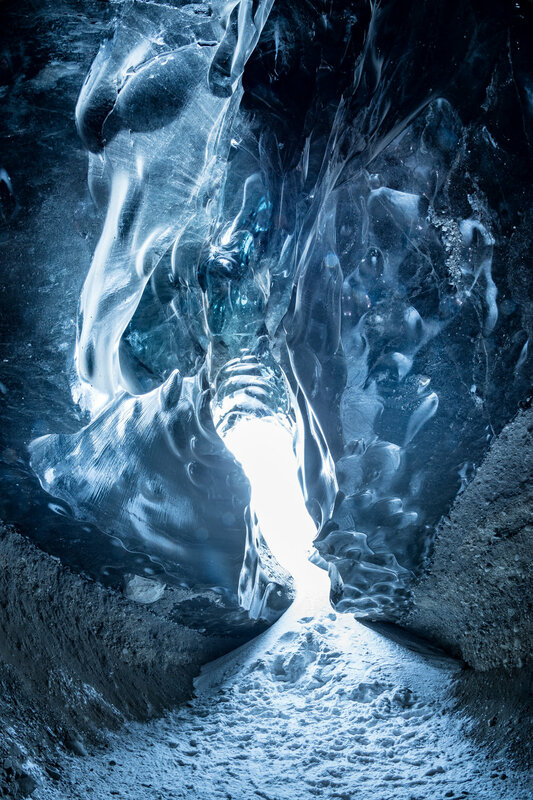 On day three of the Photography workshop Páll Jökull and myself were giving we went on a trip to the Ice caves in Breiðamerkurjökull. This Ice cave tour was led by Siggi from “South East Iceland” The day started out being very windy, and almost a complete white out. Lots of snowy wind gusts limiting vision. 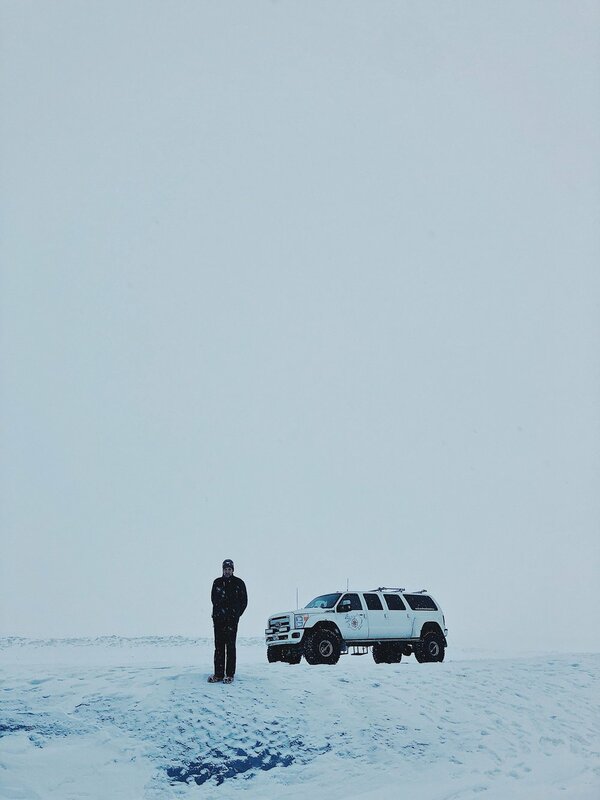 Arriving at the Jökulsárlón Glacier in the early morning with Páll and our own workshops participants we met up with Siggi and his big big big truck. On the tour we were accompanied by another small group of friendly photographers that were on a tour with Icelandic photographer Olgeir Andresson. A couple of hello’s, some hand shakes and then it was time to get into the truck, and head out. Into the vast, wide open. Towards the ice and the ice caves. Siggi did an amazing job of driving the big truck with inflatable tires over the rugged terrain. It was a bumpy ride, but not as bad as I expected it to be. Siggi also shared a bunch of interesting information about the glacier and the national park whilst we were making our way towards the Ice caves. This was very informative and entertaining. His sense of humor more then once got the entire truck burst out into laughter. Best bumpy ride of my life. Below you can see a selection of images of the tour, with some guiding information here and there. 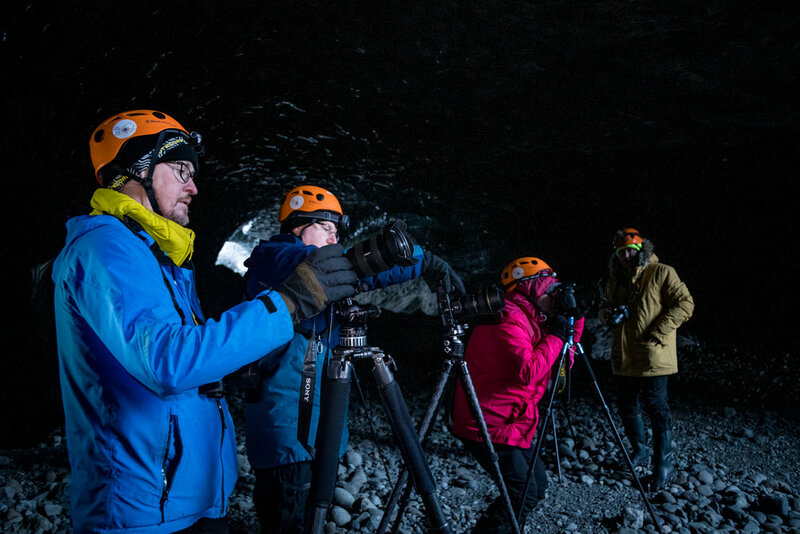 Páll Jökull shooting inside the cave together with the workshop participants. 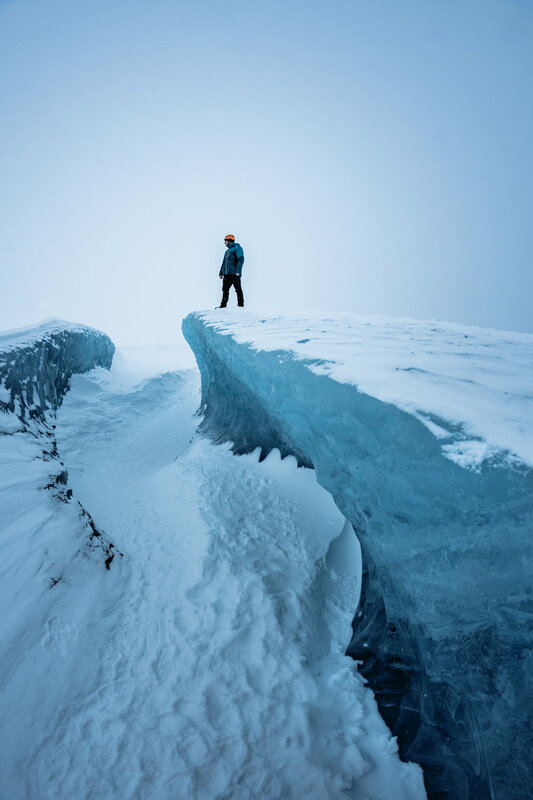 Once at the Ice cave Siggi gave some clear instructions, shared some more information and knowledge about the area. And showed us how to go about entering and photographing the cave. Siggi took us to 3 seperate caves/locations where we had a good amount of time to enjoy the locations, and to be able to take our photographs. The fact that we had Siggi, Páll and Olgeir taking part in this tour, all being experienced in what they do and extremely pleasant guys to be around with it was obviously a very good experience. For me, but also for the whole group, How do I know? Because everyone was smiling from ear to ear, all the time. The atmosphere between the people in the group was amazing. 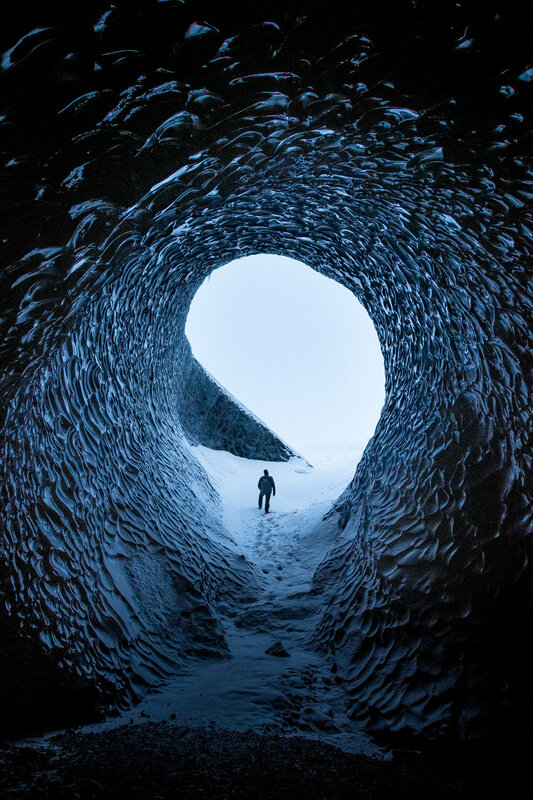 Páll taking in the beauty of the Ice cave. I just couldn’t get enough of Siggi’s big truck, look at those wheels! Olgeir and Páll having a good time! Siggi inside the Anaconda Ice cave. Cramp ons, necessary piece of equipment in this environment. Ice, and untouched snow. It doesn’t get much better then this! 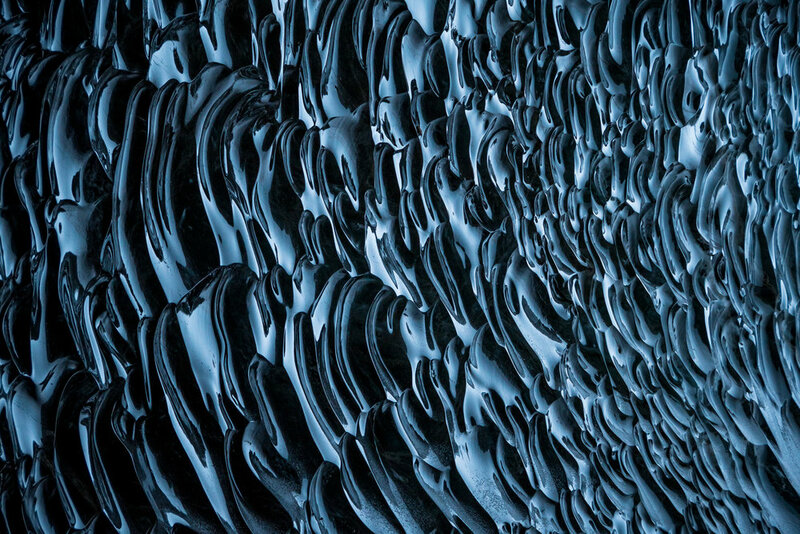 Blue, is just all I am going to say about this shot. Páll and the group, having a great time on the ice. I hope you enjoyed these images. 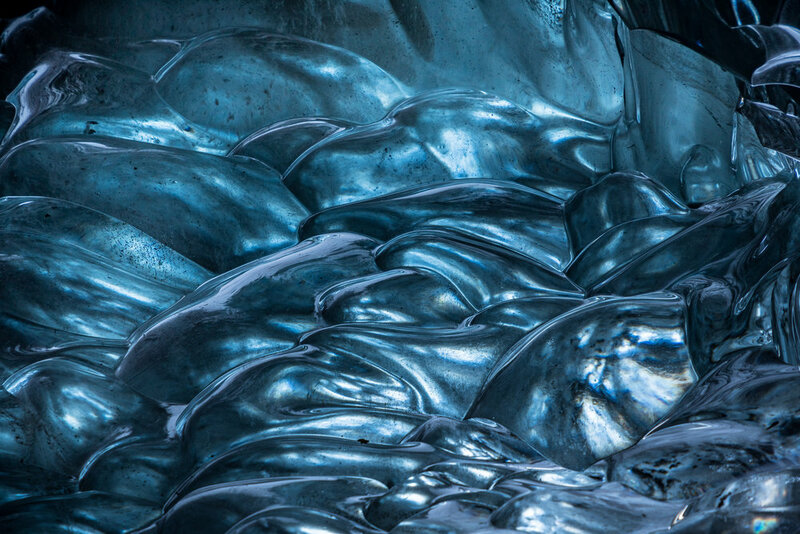 And to end this blogpost I want to shout out to everyone who has made this Ice cave tour the succes it was. Here’s a video I shot together with Páll of the Ice cave tour.